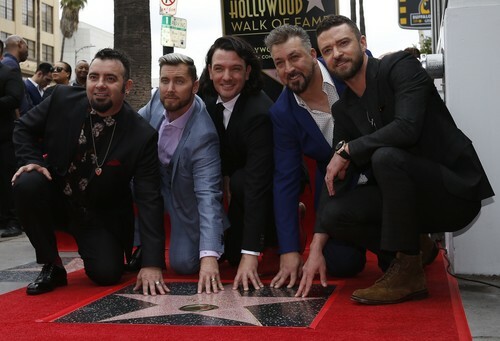 *NSYNC Receiving their звезда on "The Hollywood Walk of Fame". . HD Wallpaper and background images in the Boy Bands club tagged: photo *nsync boy band jc lance joey kris justin.